Haha I have no idea why my name came up as ???? 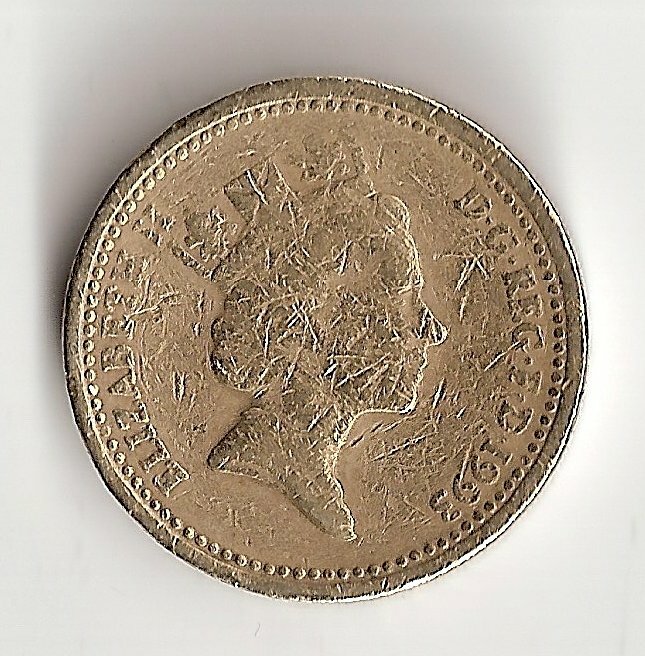 From first look at the Queens head side and the weakness of the year date I thought its a fake………..but on seeing the bridge side I’m now more of the opinion that you have a ‘mint error’ coin, ie an incomplete coin that has slipped the RM Quality Control. Suggest you keep hold of it as there are mint error coin collectors out there who might be interested in it. Great pictures! The weak strike on the obverse is caused by the imperfection on the reverse. As to whether it is a fake, yes, I think it is. I note the lack of detail in certain areas of the design, particularly the chains and the arches on the left side of the design. I have seen many fakes of similar appearance and I think that this design is currently one of the most common forgeries, sometimes appearing dated 2004. However, it is also possible that the lack of details in the chains, &c could be caused by the imperfection too. I would like to see some shots of the edge as that would quite likely clear up any ambiguity. Here are closeups from the side. I can try and shoot more detailed ones if you wish. However, I believe that if you download and save them, you can enlarge them further. Like Simon, I reckon that’s an ‘error coin’ rather than a fake too. As The Dark Numismatist says above, it appears the coin hasn’t been evenly struck due to a broken die, leaving part of the blank coin untouched. The pics of the edge kinda backs that up (might be my eyes, but it looks ever so slightly twisted too in that third picture). I’d hold on to it if I were you. Might be worth a few quid (which would make a refreshing change from all the worthless fakes we normally see!). Thanks very much for posting those pictures though – very interesting. The edge isn’t twisted I’d say but rather deeply struck at the beginning and then less deep towards the end. I wouldn’t be able to shoot it next to a regular coin since I moved out of London a few years ago and where I live now we use Canadian Dollars. I don’t think I could even buy one off a currency exchange since they don’t bother with coins I believe. Do you think I could show it to someone here in Montréal to find out whether it is genuine or not? how much to buy these ? 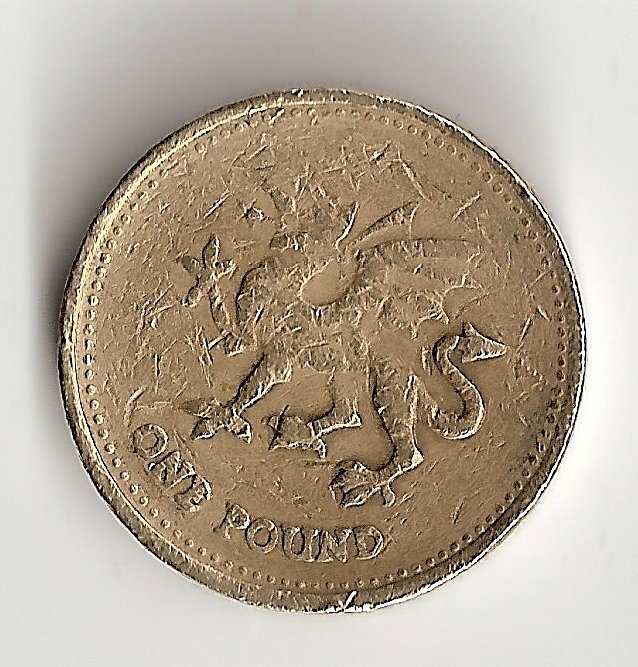 Could you possibly check the 1993 dated Welsh Dragon fake pound you listed above on 4th Sept? Most mules seem to have been copied and duplicated but I’ve not come across a 1993 dated Welsh Dragon from any other source. Sure that wasn’t a typo, or a misread date? Loftybob, yes, that is correct. Front and back scans for you. Thanks for the speedy reply. That coin has had a fair bit of circulation by the looks of it! My list of known fake pound mules is now an astonishing 90 varieties, including 36 new ones added by Andy at Willings in his very helpful catalogue mentioned above. That 90 figure is simply date/reverse mismatches and not counting any further variations such as Welsh, English or Scottish edge motto. Andy’s list has 85 of those mules, not counting those where the date is only partly legible. For some reason your 1993 Dragon appears to be something of a rarity, which is why I needed to check with you. Thanks. At lunch today I received a Ugandan 500 shilling coin instead of a £1 coin. Size is very slightly off, colour is very close, thing’s worth about 20p I think. Hey, today i found two £1 coins both from 1989, they are both exactly the same on front and back but the writing round the band is written the other way up on one. i would never have notice if i hadn’t got both at the same time. I was wonder if anyone could tell me anything about them? I have recently found a fake £2 coin in my change. It is bi-metallic, and can’t find any feference to them existing. 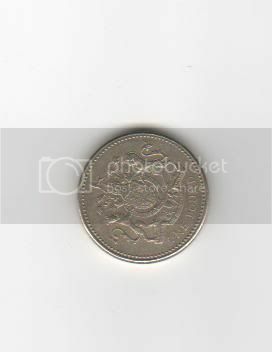 Also have a fake 20p. It was very interesting actually. Well done! i recieved a coin that came in a bag of coins from the bank. it looks as though the coin has been caught in the machine, and so has line indentations accross it and a break at one edge. is this worth money or is it a fake?? Hiya I think I have an error coin, the fourth digit of the date is missing, can you help me out! Dont know what to do with it! What does the edge inscription look like? Should be DECUS ET TUTAMEN and in clear regular script. Date starting 200_ with this portrait and reverse should have been 2003 or more rarely 2008. Does the face align with the back, same way up? If not, or if the edge looks different compared with a genuine 2003 coin, then it’s likely to be a fake. decus et tutamen is there fine, looks fine and the faces align ok. i havent a 2003/8 coin to match it too but when i do i will check. do you think people would be interested in collecting it? Possibly collectable for someone out there. Depends if it’s genuinely a mint error or if the end digit was removed in some way, after production but before it was passed to you. It sounds odd for a mint mis-strike to just leave one digit blank. I don’t think it’s a fake from the photos and description, but can’t be 100% sure. I think i have got a fake coin, instead of dots on the front it is short lines, there are no dots on the back. The edge is only half rumpled and there is no writing. As well as that could someone tell me whether the design for 1998 is a castle with a key and MONTIS INSIGNIA CALPE. There are also dots of metal on the front of the coin. I’ve got that coin as well! I just found a fake, the same one as Coin #12. Correct obverse and reverse, but wrong edge inscription. The reverse is mushy, but with more detail in the lions faces – which makes it look odd. And the queen’s face is pretty mushy as well. I notice it looked strange, but didn’t really bother. Then I found out that the vending machines wouldn’t accept it! Anyhow, glad I could find it’s equivalent. I have a number of £1 coins one in particular has no date on it.Everybody I have spoken to,including the bank haven’t heard of anything like it before.The people at the bank weighed and measured it and checked that both sides align correctly and the inscription is correct with the shield design.When I rang the Royal Mint they needed to see it either by photo e-mail or in person.I have yet to do this because I have been looking on websites similar to this one to find out more information.Looking forward to hearing from you to see what you think I should do next.I also have a £1 coin with a design of a mobile phone on it,I was wondering if this was really rare and worth alot of money or a fake and not worth any thing at all.On the head side around the edge it says’ISLE OF MAN’ then ELIZABETH11 and the date is 1994.The side of the coin just has lines and smooth spaces and no inscription.On the coin with no date on its a large shield and the words ‘one’ on the left and ‘pound’ on the right side of it.The inscription around the coin says’DECUS ET TUTAMEN’.Thehead side of the coin has the ‘EL’ missing from ‘ELIZABETH’. 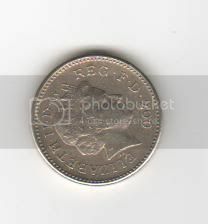 David, the mobile phone Isle of Man pound coin is almost certainly genuine. Not particularly rare or worth much more than £1 (if at all) as far as I know. Hi David, I found a fake Matthew Dent designed shield last year but it is dated 2009. I had the coin verified (although an obvious fake) by the Mint and was told that they had only seen a few. Last week in one batch of 500 fakes coins I saw 3 more fakes, maybe as rare as first thought? Apart from the look of the coin the designer initials under the queens neck was incorrect, you may need a magnifying glass to check. I would like to see the pictures, can you e-mail them to my home address:- andy@soflex.co.uk. i have two £1 coins i have one with two queens heads on either side and the other has two tails on either side could some please verify these if you need to email me i will provide pictures i also need help on finding out if they are genuine. i dont trust sending it to Royal Mint then it gets ‘lost in the post’ which is called Royal Mail. This leads me to a question about a pound coin that you may be able to shed some light on. I got a sealed bag of 20 £1’s from Barclays bank and found one coin to be compleatly blank, very strange as I had never seen one. I have tried in upmost vain to research other examples and have come up blank (excuse the pun lol) Do you have any ideas or have you come across other examples? Id appreciate any help that you can give. Thank you.